There have been a lot of questions in recent weeks about the risks of sharing data online — but evidently internet users aren’t the only ones who should be concerned about the digital spread of their personal info. 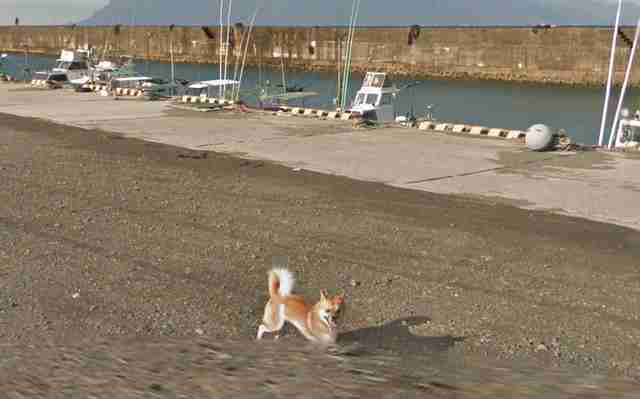 Ironically, however, one little dog’s apparent attempt to lash back at Google's prying ways ended up backfiring miserably. 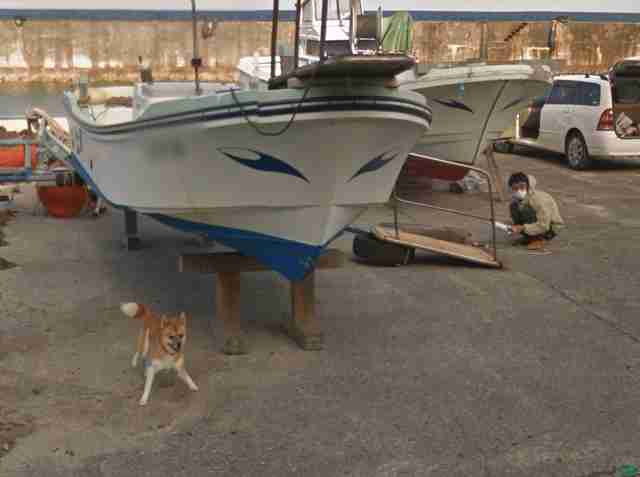 And now, as a result, everyone on the web knows precisely where he likes to hang out. 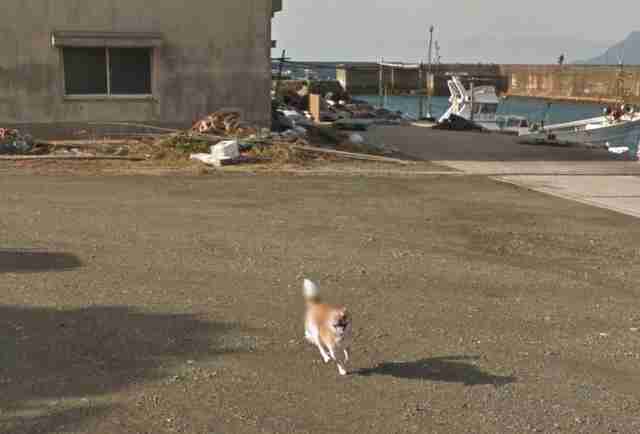 This little dog-centered drama all began when a Google Street View mapping car rounded the corner on a dead-end road leading to a small harbor in Japan's Kumage District. 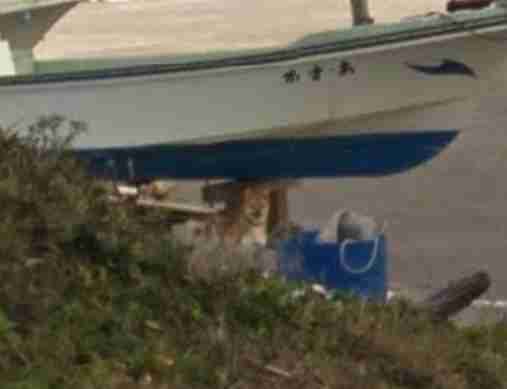 As the offending vehicle approached, it caught the attention of the local pup, who was just hanging out by a boat — minding his own business and, no doubt, expecting others to do the same. 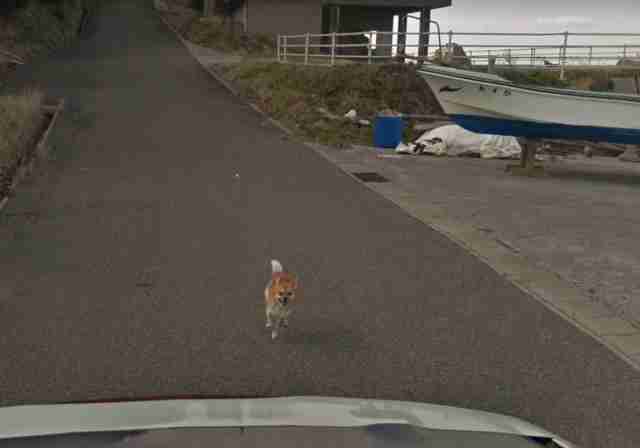 The Google car didn't comply, of course — so the pup sprang into action. 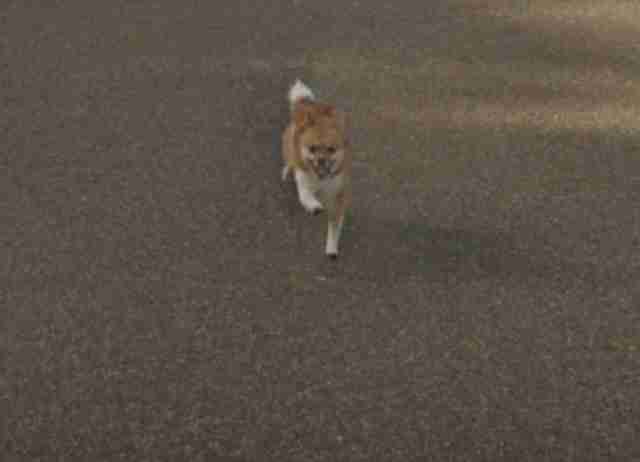 From there, a chase got underway. ... managing, quite impressively, to keep pace along the way. 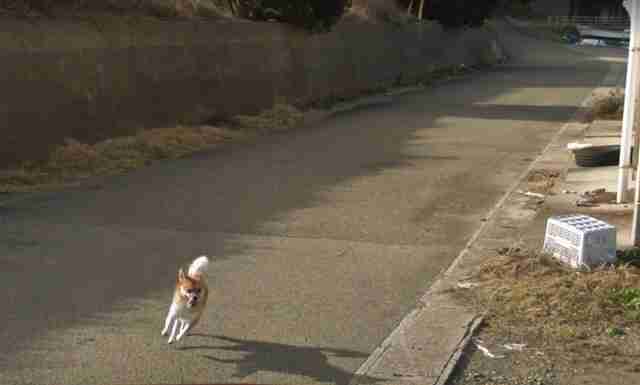 The pup's expression is that of pure, unwavering dog determination. 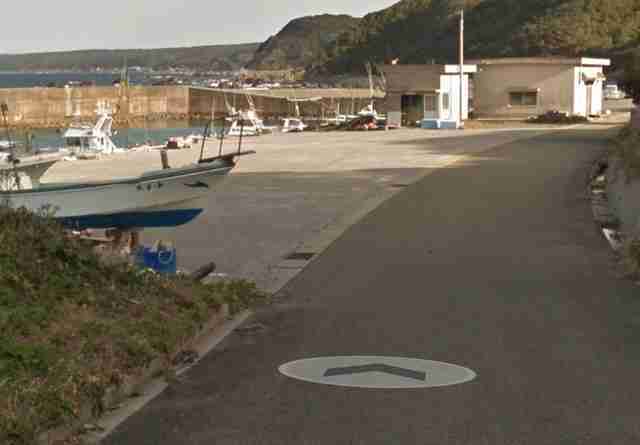 The Google car turned off the road slightly into a parking area near the dead end, perhaps in an attempt to shake the dog on its tail. Our canine protagonist didn't miss a beat. 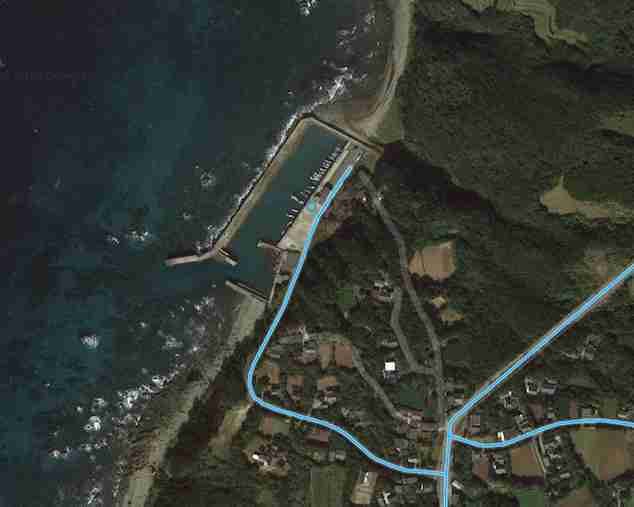 As the car neared the end of its path, where it could go no farther, the dog closed in. 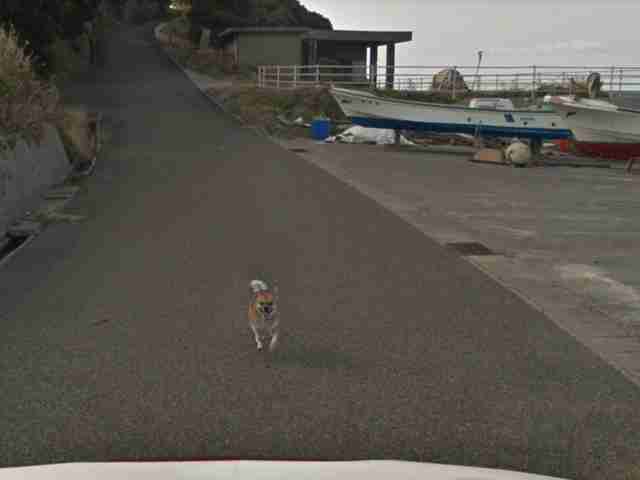 This appears to be the last image taken of the dog as the car is forced to come to a stop. It's unclear if the driver survived. We can only assume this pup was spurred into action out of anger for having his privacy violated; but, admittedly, it is just as likely that he was having the time of his life and got plenty of pets from the driver at the end. If the former is true, things didn't work out so well; he's gone viral. 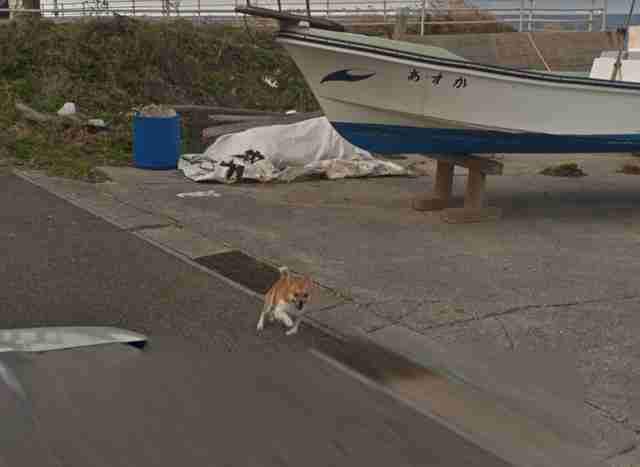 Check out all the images from this adorable chase on Google Street View.